Oran Limited recognizes that growth and development yield greater responsibility. Thus, additional emphasis has been placed on servicing the needs of our customers efficiently. Products used in the home are only new once. However, after they are installed they will require maintenance. This is why the reputation of the company you are buying from is essential. At Oran Limited, parts and components for most products manufactured over 15 years ago and now discontinued are always available for our customers. Oran Limited is able to offer a complete after sales service from the availability of parts to the expertise of our helpful service teams. Please email info@oranltd.com for the costs, terms, and conditions of our after sales service. At Oran Limited we offer a complimentary measure and quote service in order to provide a full cost evaluation of your project. This service gives our clients a clear picture of the products and costs so that they can effectively manage their budget constraints. Once a deposit is received, Oran Limited also offers consulting in engineering and design of projects by utilizing software tools such as AutoCAD to provide full project drawings. 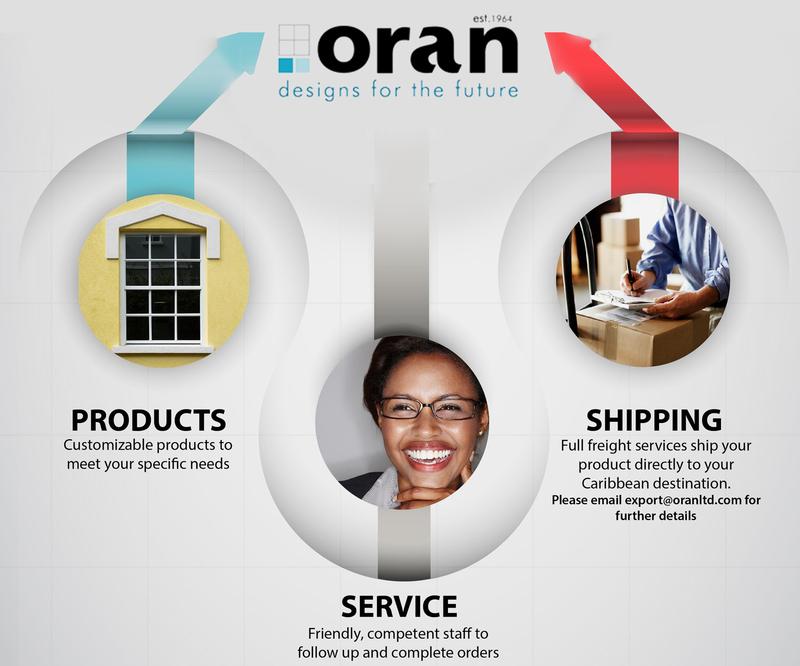 Oran Limited is the only manufacturing company to offer a freight service to ship to islands in the Caribbean. Please email export@oranltd.com for further details on shipping.